At Naturopathic Care we give our cancer patients support based on solid scientific nutritional protocols employing much of the research outlined in Cancer – The Importance of Clincial Nutrition in Prevention & Treatment. We also use dietary approaches to starve the cancer of sugar and alkalise the patient. We employ Lipospheric vitamin C – Larger doses of Vitamin C are especially useful for our patients fighting cancer who have been using High Dose Intravenous Vitamin C Infusion Therapy… now there is a far more cost effective and convenient method of delivery! We employ the use of Salvestrols together with nutritional protocols specific to the type of cancer you have and your individual biochemistry..
We treat each patient holistically employing meditations specific to our patients needs. Many people diagnosed with cancer are using some form of natural therapy, however most of them are uncertain why a particular remedy is used, how much they should take and how often they should use it, and, whether it is compatible with medical treatment. Many cancer sufferers are not under the guidance of a fully qualified Naturopath and use natural remedies on the recommendation of friends, relatives, books or the internet. Understandably some confusion may arise. At Naturopathic Care, Jason guides his patients using natural medicines to support their healing and recovery. He will help you find the most effective and safe natural therapies to treat the side effects of surgery, chemotherapy and radiation as required. 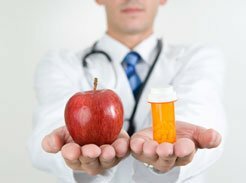 Naturopathic and medical treatments can be an ideal combination, gaining the best of both. Medical treatment will attack the cancer, and natural therapies will strengthen and support the mind, body and spirit, and alleviate any side effects, thus enhancing the recovery process. It is highly recommended that you are under the personal care of a qualified Naturopath, who can monitor the use of remedies, support your individual needs and alleviate any concerns you may have. Patients who begin natural therapies as early as possible achieve better results and a quicker recovery. The discovery of Salvestrols started initially with the work of research scientist Professor Dan Burke. As a faculty member of Aberdeen University medical school for nearly 20 years, he specialized in the Cytochrome P450 enzyme system. 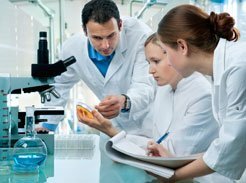 His research group discovered that a particular Cytochrome enzyme – CYP1B1 – was present in diseased and cancerous cells but absent from healthy tissue. Prof. Burke went on to become head of the School of Pharmacy at De Montfort University, Leicester. At De Montfort he met Professor Gerry Potter, who was Director of the Cancer Drug Discovery Group. When Professor Burke described the CYP1B1 enzyme to him, Prof. Potter immediately saw the potential of this enzyme in developing therapies for diseased and cancerous cells. The best way to picture Salvestrols is to understand their role in the plants that produce them. When attacked by pathogens, primarily fungi, plants defend themselves with Salvestrols. Where pathogens contain a CYP enzyme, Salvestrols are metabolised by the enzymes and die. 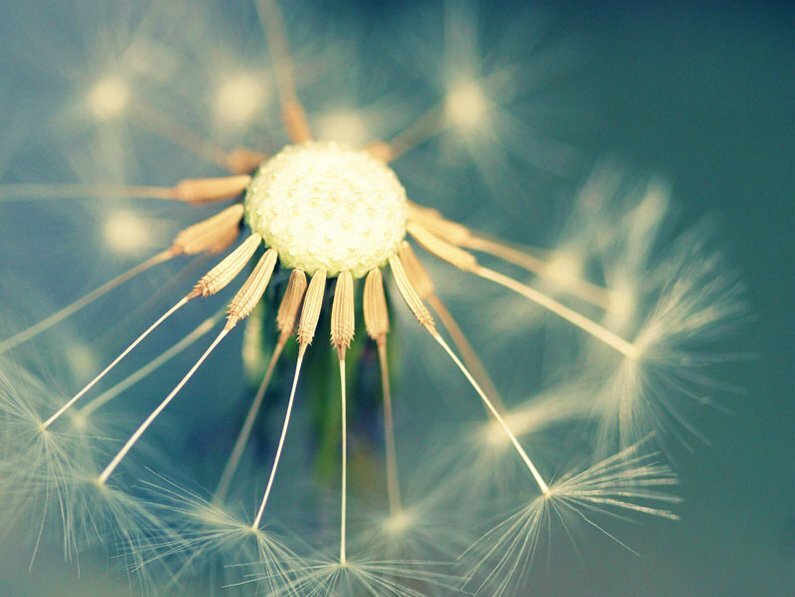 The CYP1B1 enzyme in diseased cells offers the potential to use the plants’ response and make it part of our own defences. Consuming Salvestrol-rich plants lets Salvestrols enter our diseased cells and induce their death through metabolism by CYP1B1. Seeing a leaflet for local Leicester company The Herbal Apothecary led to a meeting between Professor Potter and Managing Director, Anthony Daniels. through our diet and, to date, herbalists have identified Salvestrols in many organic fruits, vegetables and herbs. The main feature of Salvestrols is that they target a specific enzyme called CYP1B1(pronounced “sip one, bee one”) found only in diseased cells of the human body. When the Salvestrols are metabolized by CYP1B1 it starts a series of processes that result in the death of the diseased cell (known as ‘apoptosis’ or programmed cell death). Healthy cells, containing no CYP1B1, remain and the diseased cells die. 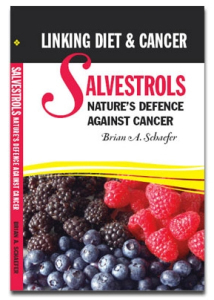 Salvestrols actively eliminate damaged cells, helping us heal before sufficient accumulation can make us sick. date, herbalists have identified Salvestrols in many organic fruits, vegetables and herbs. The main feature of Salvestrols is that they target a specific enzyme called CYP1B1(pronounced “sip one, bee one”) found only in diseased cells of the human body. When the Salvestrols are metabolized by CYP1B1 it starts a series of processes that result in the death of the diseased cell (known as ‘apoptosis’ or programmed cell death). Healthy cells, containing no CYP1B1, remain and the diseased cells die. In fact the body finds Salvestrols so important they escape what’s called ‘first pass metabolism’, or the first attempts of the liver to remove them from the body. 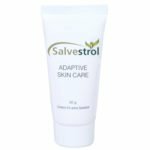 Observing how the body sought to retain these compounds, the scientists who discovered them named them Salvestrols, from the Latin word ‘Salve’ … which means ‘To Save’. Each pack contains 90 capsules. 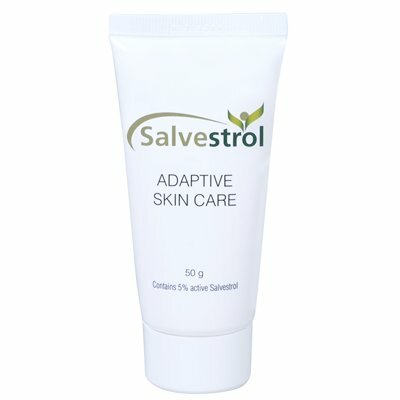 Salvestrol Cream has been formulated for topical application. The cream is a colloidal suspension of advanced lipophilic salvestrols in a light base cream, designed for optimum absorption through the skin. The cream should be applied sparingly, directly to the affected area several times daily. Do not apply to an open or bleeding sore (but you can apply the cream around, but not touching, such an area). Salvestrol Cream should be taken with at least one capsule of Salvestrol Platinum. Each jar contains 30g. Available at our online store. Cancer – The Importance of Clincial Nutrition in Prevention & Treatment comprehensively details the impact of Clinical Nutrition on Cancer – from both a theoretical, physiological and practical perspective. 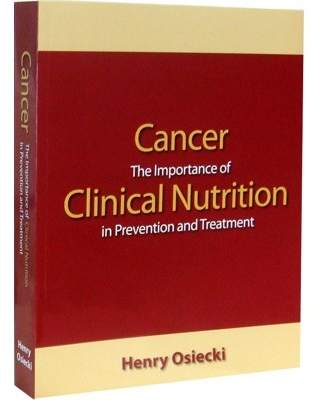 Covering all aspects of the physiology and biochemistry of cancer, it further and most importantly offeres suggested practical Nutritional Guidelines for the treatment of many Cancers.